SAUDI ARABIA'S hotel sector will continue to grow in 2019, fuelled by increasing demand from tourists, real estate advisor Savills said. 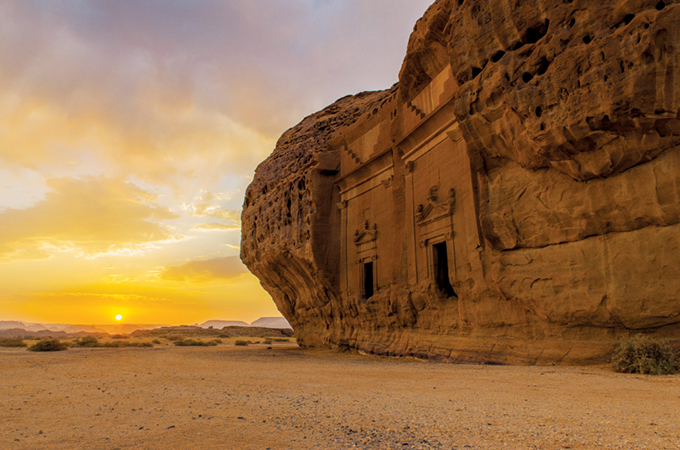 According to the latest Savills report, recent tourism growth in Saudi Arabia has been driven by three key demand pools – leisure, pilgrim and corporate visitors. In fact, recent annual statistics have shown that travel and tourism account for 9.4 per cent of Saudi Arabia’s total GDP, with traveller expenditure growing by 10.5 per cent annually ($14.8 billion). As the country diversifies its economy, in line with the Vision 2030 plans, international arrivals are due to increase on average by 4 per cent per annum according to the World Travel and Tourism Council (WTTC), reaching figures of 22.1 million by 2025. “The diversification of Saudi Arabia’s economy has provided a boost for employment and its GDP outlook. Major hotel groups are driving construction trends across the country as they aim to meet the demands of an ever-increasing number of domestic tourists and international visitors. We think this trend is likely to continue for many years ahead, as both private and public capital is invested into the tourist infrastructure,” said David O’Hara, Savills’ head of Saudi Arabia. This is being supported by government initiatives to meet the needs of this surge in visitor arrivals. Vision 2030 has set aside $64 billion to invest in culture, leisure and entertainment projects over the next decade, which will significantly add to the attractiveness of Saudi Arabia as a touristic destination, according to Savills. The Public Investment Fund backed Red Sea Development project will complete in 2022 and is forecast to attract an estimated one million visitors per year. Additionally, Amaala, a new ultra-luxury tourism megaproject is earmarked for completion in 2028 and will also significantly boost the hotel offering for both domestic and international visitors. Over the past three years, major brands have contributed increased investment into Saudi Arabia. Marriott International has opened two Aloft hotels in the country (in Riyadh and Dhahran), Rocco Forte Hotels opened the Assila Hotel in Jeddah, and in 2018 both Hilton and Swiss-Belhotel International opened three hotels each. There is also interest from other large groups such as Accor and InterContinental. The Savills report indicated that with a 13 per cent increase in the number of hotel rooms during 2017 and an extra 48,000 being constructed, Saudi Arabia dramatically increased its hotel offering, including notable interest from international hotel groups. In addition to government and private investment, visitors are also being attracted through cultural and religious events. As per Savills report, Hajj and Umrah visitor numbers are expected to reach 30 million by 2030, with 30-day visa extensions contributing to an increase in the length of stay from overseas visitors. Over a 12-month period, the average length of stay from foreign travellers has climbed from 9.7 days to 11.3 days. This has helped to boost hotel occupancy levels. Savills also foresees continuing upward trends towards corporate traveller demand, as the country grows alternative industries away from its traditional oil-based economy. Indeed, business travellers will be a key driver for revenues, with the WTTC’s 2018 report underlining that 52.8 per cent of tourist spend in Riyadh is accounted for by corporate visitors. Underpinning the visitor demand is investment into transportation infrastructure. Airport connectivity has significantly improved across the country, leading to a 7.7 per cent boost in airport passenger numbers to 91.8 million, according to the Saudi Arabian General Authority of Civil Aviation. The recent opening of the Haramain High-Speed Rail linking the major hubs of Makkah and Madinah via Jeddah will serve up to 60 million passengers per annum.